But you can’t escape the plethora of Christmas adverts that have been reminding us of the need to do the shopping since August/September. 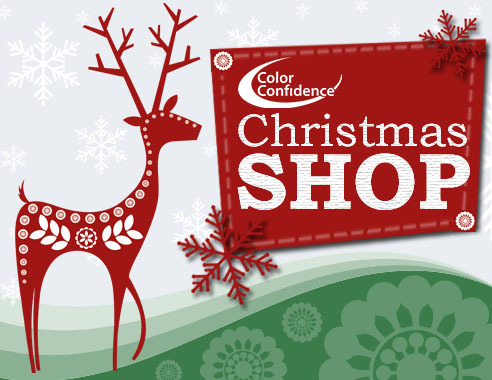 With the success of last years Color Confidence Christmas Shop, we’re pleased to launch this year’s Christmas Shop today. Gifts for Photographers – from camera bags to monitor calibrators, there’s a gift to be found for all photographers from hobbyist to professional. And. better still. 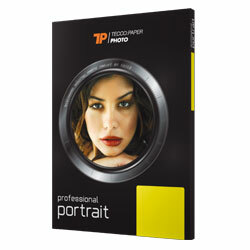 every item in this section comes with a free* AGFAPhoto memory card! So if you have a photographer, designer or colour expert in the family and are struggling to find something this year, have a browse and get yourself the perfect gift. This entry was posted in Color Confidence, Photography and tagged Christmas, Christmas Gifts, Christmas Shop, Color Confidence, Photography, Photography gifts on November 30, 2012 by colorconfidence. There’s more than one way to take a photograph. And, there’s more than one paper type to print your images on. You take the time to edit and fine-tune your images to enhance colour, tone and definition, but then continue to print on your standard A4 office printer paper, meaning the image can often looks flat and uninspiring (not what it does on your screen!). Aside from calibrating your printer to improve results (use one of these to do that…) you should try using different paper weights, styles and textures to enhance your printouts, bringing them to life on the page. These are just a sample of what papers are available; there is a vast array of Tecco paper styles made to suit various image styles and effects. Browse through their range here to find which paper will suit your requirements the best. This entry was posted in Color Confidence, Color Confidence Range, Photography, Printing and tagged Color Confidence, Image Editing, inkjet photography, inkjet printer paper, inkjet printing, Paper, Photo paper, Photography, photography paper, Printing, Tecco, Tecco Baryt, Tecco Iridium Silver Gloss, Tecco Luster, Tecco Paper, Tecco Photo Matt on November 23, 2012 by colorconfidence. 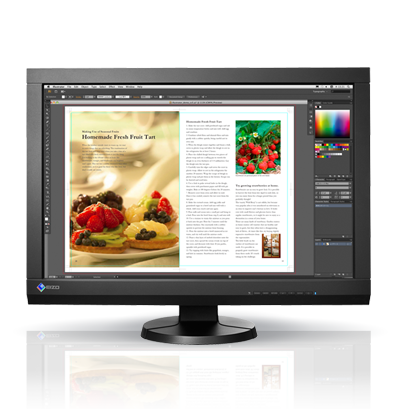 A new, versatile ColorEdge monitor from Eizo is now available. The CX240 is an ideal display for photographers and graphic art professionals with its wide colour gamut and uniform display brightness from corner to corner. It’s a 24″ monitor, covers 97% of Adobe RGB, and has a built-in self-correction sensor to keep your screen as colour accurate as possible (although, it will still greatly benefit from the addition of a monitor calibrator). Learn more about this display here. Just Normlicht are world-renowned produces of controlled, standardised lighting solutions. By ‘standardised lighting’, we mean a light source that replicates natural lighting conditions, normally coming in the form or 5,000 kelvin (D50) or 6,500 kelvin (D65) temperatures. New in for November, Just Normlicht have launched 4 new desktop viewing booths for the accurate assessment of proofs and colour. The colorFrame series offer space-saving desktop booths available in two sizes: 46 x 34 cm illumination area and 64 x 40 cm illumination area. These are also available as dimmer switch versions for greater control over the lighting. For more information about these, and for controlled lighting in general, click here. So if you prefer having boxed software – act now to avoid disappointment and get your copy while stocks last! Get your free Tangerine Tango iPhone 4/4S case! While stocks last, claim your free iPhone 4/4S case in Tangerine Tango (Pantone colour of the year 2012) with every Pantone Capsure order. The Capsure allows you to confidently and accurately match colour to almost any surface, meaning you can take inspiration from almost anything. This entry was posted in Color Confidence, Color Confidence Range, Colour Management, General News, Industry News and tagged Color Confidence, colorFrame, Controlled lighting, CX240, Eizo, Eizo CX240, Google, Just Normlicht, Light, Lighting solutions, Nik, Nik acquired by Google, Nik Software, Pantone, Pantone capsure, standardised lighting on November 16, 2012 by colorconfidence. Since we started this blog nearly 2 years ago, a lot has changed both in the world of colour management and here at Color Confidence Towers! Rain Design offer an award-winning range of stylish products, designed to ensure that when you are using your Apple Macintosh laptop or desktop computer you do so with maximum comfort, added safety and in cool, complimentary style. From laptop stands to iPad rests, there’s plenty on offer to accommodate your Mac. J5 develop software and hardware as well as manufacture monitor connected companion devices such as dongle and docking, allows users a single or multiple point of access to all kinds of personal computers including Tablets and in some cases mobile phones, as well as cross operating system sharing between two computers. The definitive 3D visualisation software for fast carton packaging prototyping, RealVue 3D Packager is a versatile software tool for packaging professionals involved in design, client communication and production. These are just a few, there’s a host of vendors, brands and products we’ve added since we started this blog, all available to view here. And, to celebrate this blogging milestone (and reward those who read this far down the page), you can get free delivery off your next order by using the code BLOG100 when ordering (valid until 16th November 2012). Terms and Conditions apply, please read here for full information. This entry was posted in Color Confidence, Color Confidence Range, Colour Management and tagged Color Confidence, FFEI, free delivery, j5create, Rain Design on November 9, 2012 by colorconfidence. Capture One Pro 7 from Phase One – the professional choise for imaging software is now here. Capture One Pro 7 is one of the best RAW converters around, allowing you to render in precise colours with great detail, supporting the leading high-end cameras. It contains flexible, digital asset management, all the essential adjustment tools and fast, responsive performance in one customizable and integrated solution. It gives photographers highly responsive, precision tools needed to create stunning, out-of-the-box images using a fast and intuitive workflow which can be customised to fit unique project requirements. Think of Capture One Pro 7 as a ‘digital assistant’, allowing you to focus on capturing your vision with its image quality, reliability and speed. This entry was posted in Color Confidence, Photography, Software and tagged camera RAW, Capture One Pro 7, Image Editing, Phase One, Phase One Capture One Pro 7, Phase One Software, Photography, Photography Software, RAW editing, RAW photography editing, RAW software, RAW workflow software on November 2, 2012 by colorconfidence.